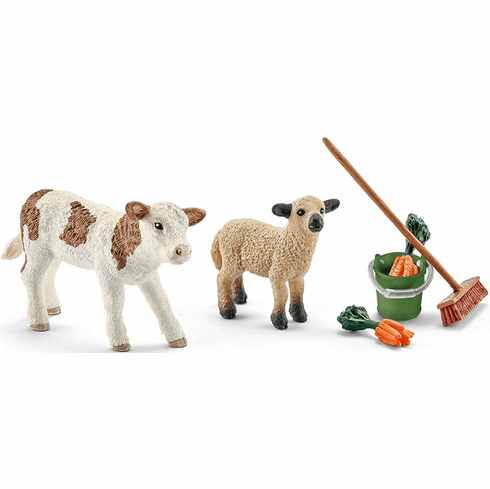 Set contains:1 x Simmental calf, 1 x Shropshire sheep, 2 x carrot, 1 x green bucket, 1 x broom. After their birth, the calf and the lamb are kept in stalls with cosy, warm straw. This offers excellent protection from the wind and weather, allowing them to grow quickly.